Thanks to Maty’s for sponsoring this post. It’s cough and cold season and that is no fun. 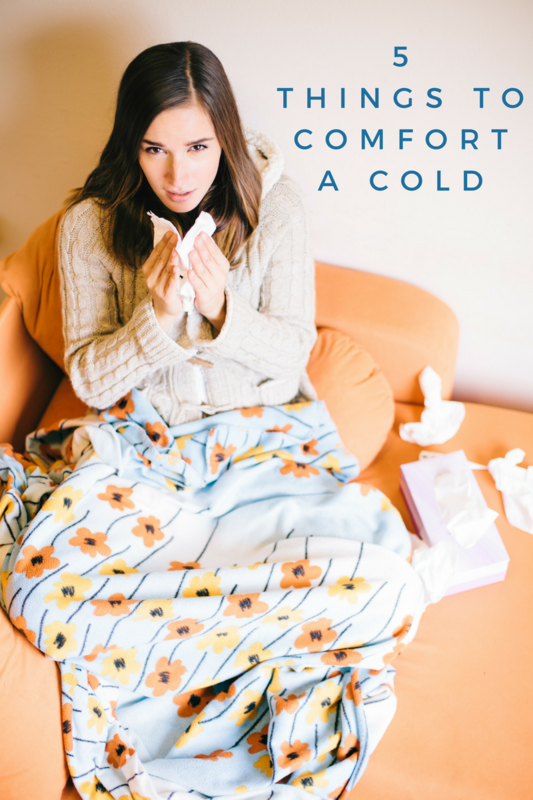 I’ve compiled a list of five things that help comfort colds when they hit at our house. I actually keep most of these items on hand so we are prepared. It’s no fun trying to run to the store when you have a little one that is sick or when you yourself are feeling under the weather. Chicken Soup – A nice warm bowl of chicken soup or broth does wonders for a cold. 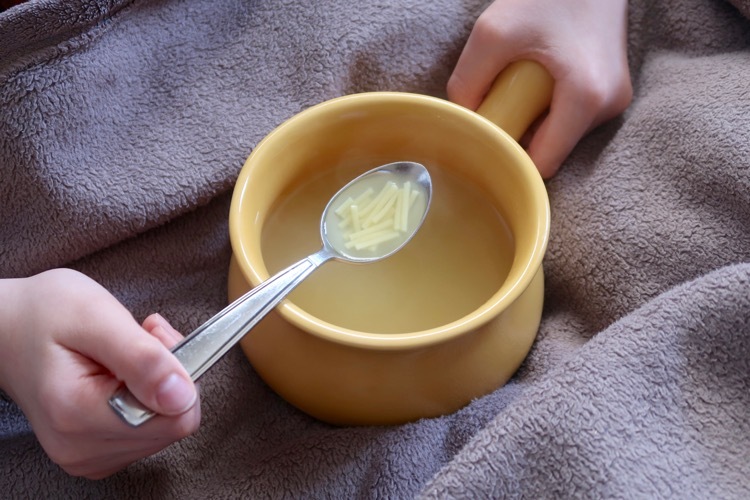 When I have a cold I don’t often feel like eating, but a bowl of warm chicken noodle soup goes down easy and the warm liquid helps to soothe my throat. Maty’s Organic Cough Syrup – We always keep medicine on hand that will help relieve coughs and colds. With a large family of 7 we know that somebody will catch a cough or cold some time during the year. The winter months always seem to be the worst, that is usually when we end up with sore throats and lots of coughing. 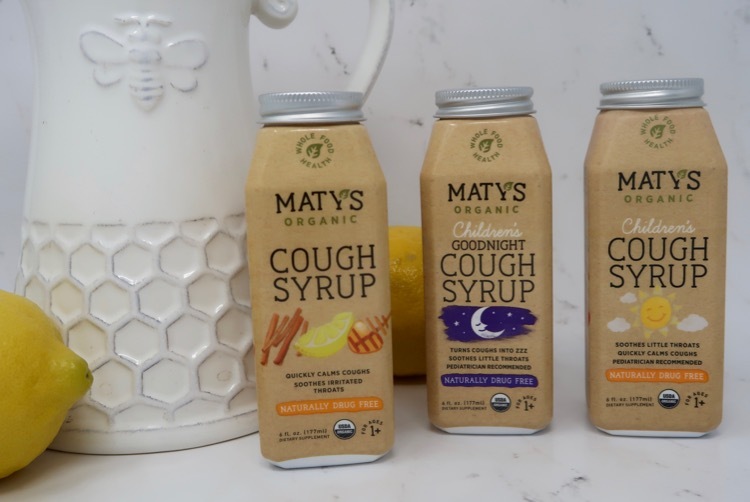 We alleviate our symptoms with Maty’s Organic Cough Syrup and Maty’s Organic Children’s Cough Syrups The cough syrup helps to soothe dry, irritated throats using USDA certified organic ingredients. 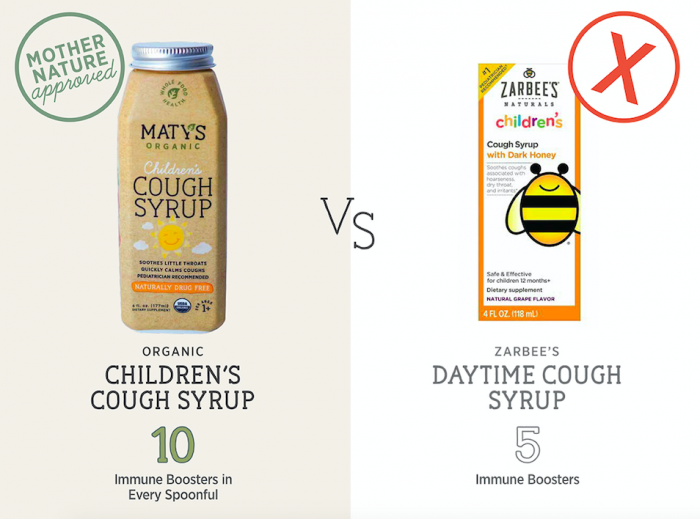 Maty’s All Natural and Organic Cough Syrup has 10 immune boosters in every spoonful. That’s a lot of immunity support in one spoonful! 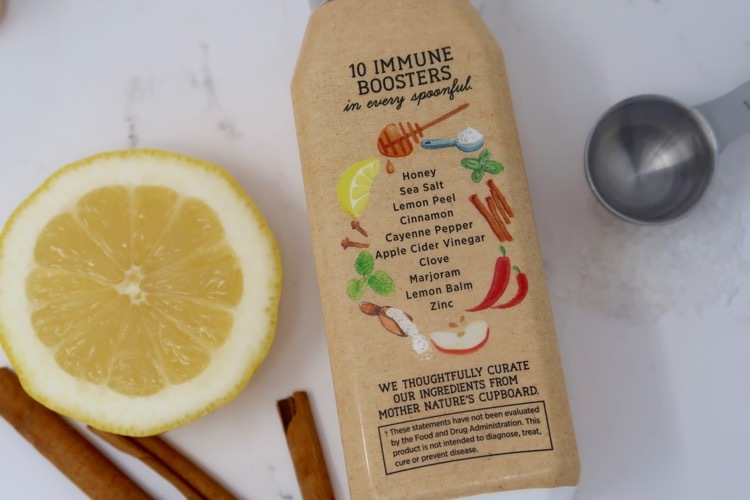 Plus, it’s made with whole food ingredients you know and understand like honey, sea salt, lemon peel, cinnamon and several other ingredients that come from Mother Nature. Drink Liquids – You want to make sure you rehydrate when you have a cold so drinking lots of liquids is a must. A nice warm mug of herbal tea will help to keep you warm and can help to alleviate some of your congestion. 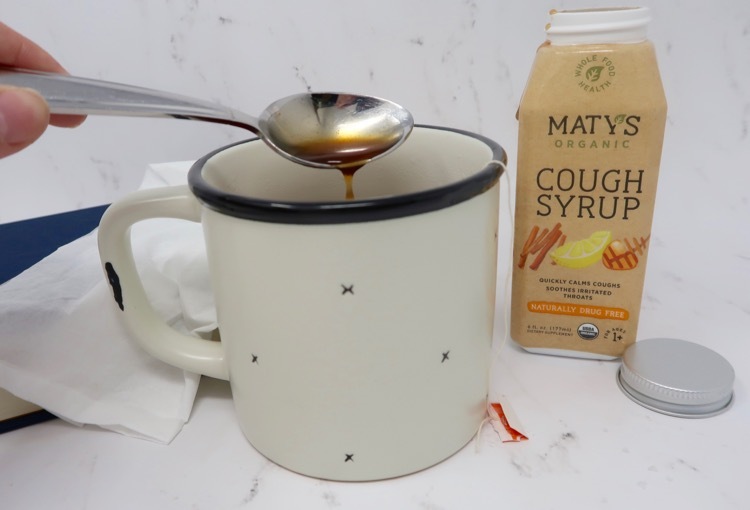 You can add a little honey or even some of the Maty’s Organic and Natural Cough Syrup to your tea to help soothe your sore throat. For kids, water is a great way to keep them hydrated. 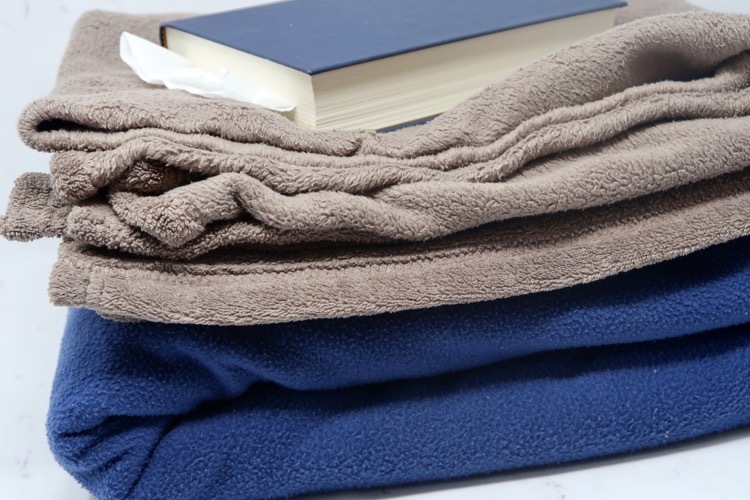 Blankets – Keep extra blankets on hand so you can pile them on when you get the chills. When you aren’t feeling well, there is something about curling up in a bunch of blankets that brings comfort. In fact, even when I am feeling well, I love to curl up in a blanket. So comforting! 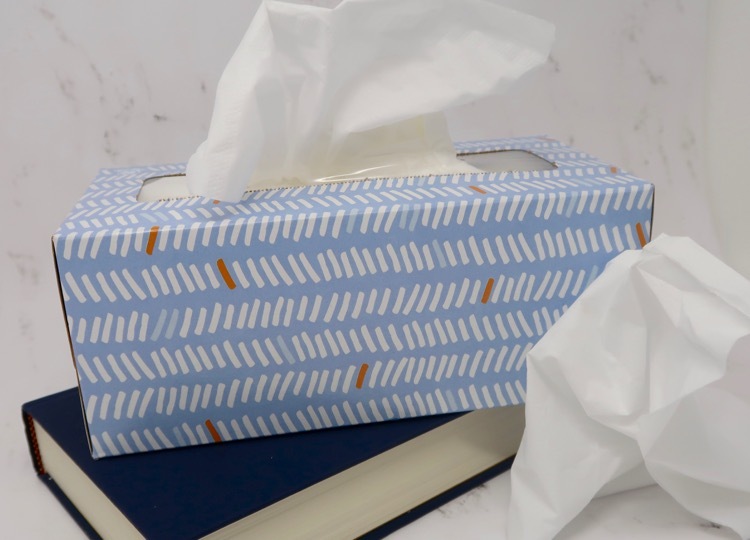 Facial Tissue – This is something you always want to keep on hand at your house. You never know when sickness will strike and nobody wants to rub their nose with rough toilet paper. It’s handy to keep a trash bag nearby so tissues can be thrown straight into the bag in order to keep from the spreading of germs. 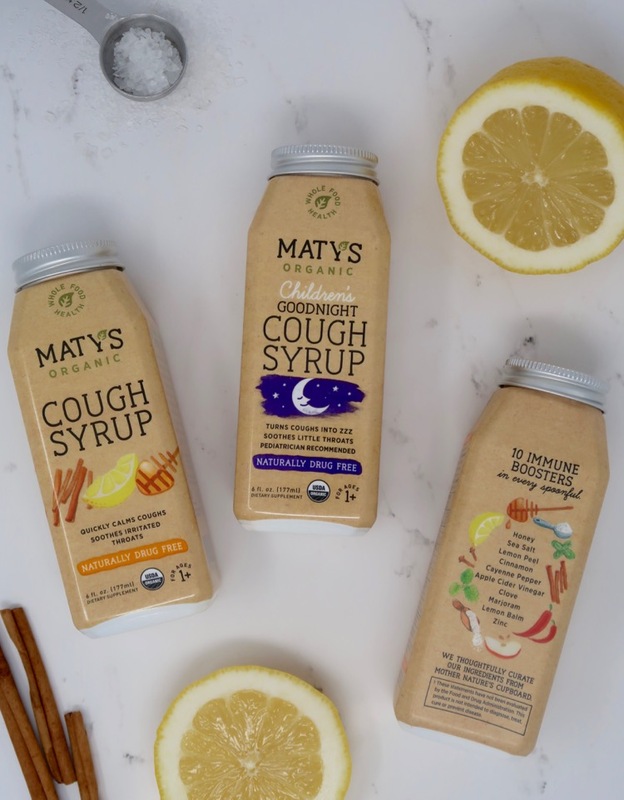 I hope you and your family stay cough and cold free, but if not, you can find Maty’s All Natural and Organic Cough Syrup at your Target store or online at Target.com.